The spacious Marelen is tailor made for a fun and varied holiday and appeals to families who will enjoy the Children's Club. You'll find a high standard of accommodation throughout the hotel and nature lovers will enjoy the scenery. Just returned from Zante and can only say what a great place Marelen was always made welcome The food at poolside bar was great also the people that run it was 10outof10. Ever where was kept very clean will go back thanks to all. This is the third time we have been to the Maralen and each time has been wonderful. The rooms are cleaned every day and the staff are really friendly, especially Oksana from the Ukraine, she works very hard every day for long hours and you can often see her around the pool making sure everything is ok. The Maralen is not far from the main strip of restaurants/bars. The restaurant we enjoyed the most was the Diaz, which is just off the main strip from the 'Drunk Corner'. But this name is nothing like it sounds - it is a family friendly place and there are lots of children there with their parents, playing pool, etc. The main attraction though is the big screen TV, ideal when there is a British football match playing! Step outside the Maralen and turn left and walk approx 200yds and you are on the beach, excellent location, all in all, a fabulous place to visit! This is just a continuation of my last review of the Maralen. I made a mistake with the ratings the first time around! We have all come back having a wonderful holiday at the Hotel Marelen, with wonderful staff, great food, beautifully presented gardens and a fabulous position.Its not very often to go on hols and not have any complaint at all, be we really dont. The kids had a ball with the kids club and games room, the entertainment at night was superb and for all ages. A must is the bbq, and greek night and pizza night. the local singers were excellent. Nick and mikila are the married couple behind the bar do the entertaining and will keep you in sticthes just listeneing to them heckling...although you will see mikila behind the reception, shop, and snackbar I think they must live in the hotel. I don't know where they get there energy as they were always smiling. So yes great food, great fun, great hotel, great cleanliness, everything was great, so we are all ging back next year in August to endure the heat!!!!!!!! 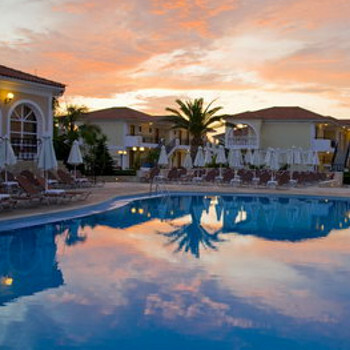 Just back from a great week in Zante, and at the Marelen Hotel! Its a really nice hotel, and family run I believe! We chose this hotel and resort for its close proximity to the airport (3km to resort), the transfer took 1hr 15mins, due to making several drops at Lagana 1st!!!! We got a taxi back to the airport on the way home, it took 5 Min's and cost 10 euros, well worth it. The hotel itself was very clean and well maintained, but we were disappointed with our room as it was very small with insufficient storage for a family of four and being in a thoroughfare for the rest of the rooms, it was noisy at night, bearing in mind that most nights the entertainment didn't start until 10pm! The pool was cold but I am sure as the weather gets hotter it will be better. The breakfasts were fine, a good selection every morning. Just returned from the Marelen after a fantastic 2 weeks there. Kalamaki is just starting to liven up at the begining of the season so many hotels are empty and dead, not the Marelen. It was quite busy both weeks especially with people who have been before, in fact we spoke to 2 old ladies who had been going for the last 11 years. I think this proves what a good place this is. The pool area is great. Sunbeds are free and even if you go down at midday there are still plenty left. The staff were very friendly and always spoke and had a smile. The rooms were basic as are most anywhere in Greece but they were clean and comfotable. Nick the barman is great and will stand and have a laugh with people until the early hours of the morning, in fact he's a bit of a nutter and the type of guy who makes your holiday. Most nights he is assisted (?) by Eddy who seams to be the odd job man. He looks after the gardens, pool area, maintenance and dozens of other jobs from early morning to late at night and always with a smile. Michaella looks after entertainment and most other things. The entertainment isn't bad but is limited to the usual Greek night with a meal & local dancers, live singers and bands and popular games. You have to pay for some of the nights i.e. Greek night but the price is ok and if you don't fancy it she doesn't pressurise you which is great. The location is great. The brochure said 5 mins to the beach and 10 mins to the resort. You are only 2 mins from the beach which is great and only 5 mins from the strip where there are enough bars and resteraunts to suit everyone. We ate there regularly and the food is excelent and reasonably priced. We paid between 22 and 40 Euro's for a meal for 2 including starters and drinks and sometimes a sweet. There are no motorised watersports on the beach only pedalo's and sunbeds. This is because it is a protected area due to the Logahead Turtles who come on to the beach to lay their eggs. You can walk into the sea fo 50 metres and still only have the water up to you chest which makes it safe and great for kids. You can also spot many turtles in the water and even swim with them. Most are over a meter long. You are VERY close to the airport but this never bothered us. You can virtually see people waving at you from the planes as they come in to land. The brochure said the transfer time was 10 to 15 mins. This ended up being well over an hour due to going to Argassi first and then to Kalamaki. I would recomend getting a taxi from the airport. You will be at your Hotel in 10 minutes and it will only cost 10 Euro's each way. All in all this was one of the best holidays we have had and we are already looking to book the Marelen again for next year. It's location and the staff make the Marelen a brilliant place to stay. The Location of the hotel is perfect, about 2 minutes walk to the beach and a 5 minute walk to shops and restaurants. Staff friendly and helpful. The beakfast was very varied for Greek standards. The entertainment was O.K. but Coco The Clown is on to a very good thing with the Bingo, collecting 90 euros in and paying out 17 euros in prize money!!!!! All in all I couldn't fault the hotel in any way.